St. Ambrose University, Davenport, Iowa. Marnie Galloway is a comic artist, illustrator and print maker in Chicago, Illinois. She was born in Austin, Texas and studied symbolic logic at Smith College. Her first comic, In the Sounds and Seas: Volume I, won a 2012 Xeric Award and was nominated for the 2013 LA Times Book Prize for Best Graphic Novel. The hardback collected edition of In the Sounds and Seas, published by One Peace Books, made the Notable Comics list in Best American Comics, and the Best Comics of 2016 round-up by the AV Club. She published a two-part memoir comic Particle/Wave from So What? Press in 2016, along with a self-published poetic comic about motherhood called Burrow and its companion zine, Nest. 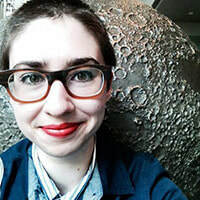 She has also served as the co-organizer of the Chicago Alternative Comics Expo from 2013-2016, and her illustration and comics have appeared in Saveur Magazine, Cricket Magazine, 826CHI Compendium, TRIP International, and Narratively. Rob Guillory is an award-winning comics artist and illustrator best known for his work as co-creator of Image Comics’ Chew (2009-2016). He is the writer and artist of the new horror series, Farmhand, also from Image Comics and described as a dark comedy about science gone sinister and agriculture gone apocalyptic. 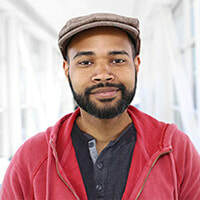 Based in Lafayette, Louisiana, Guillory has worked as penciller, inker, and colorist on comics from publishers such as Marvel, IDW, Dark Horse, and Boom! Comics. He also developed the illustrations for the Eagles Games’ tabletop game, Maniacal. 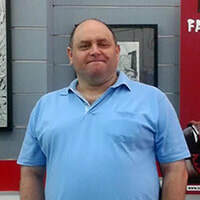 Guillory earned multiple Eisner and Harvey awards for his art on Chew, including the Harvey award for Best New Talent in 2010. 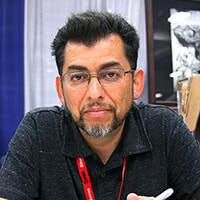 Jaime Hernandez is one half of "Los Bros Hernandez," the creators behind the legendary independent comics series Love and Rockets, including his contribution, Locas. His other work includes Whoa Nelly!, Penny Century, The Love Bunglers and his most recent book, The Dragon Slayer: Folktales from Latin America. Jaime's work has also appeared in the New Yorker and New York Times Magazine. Fernando “KOHELL” Iglesias is one of the most renowned comic artists from Galicia (Spain). He started his graphic career in 1987 at the newspaper O Correo Galego. During the past three decades, his work has been published in Diario de Pontevedra, Xornal de Galicia, Zona84, Fronte Comixario, and Fiz, among others. Among his most successful works are Gorka (1998, with Carlos Portela and Sergi Sanjulián), and Impresiones de la Isla (1993-94, with Carlos Portela). He published a special edition of the latter compiling all the stories in 2016. He is also the author of Dédalus en Compostela (2015), an adaptation of a Vicente Risco short story. Kohell has recently won the Curuxa Gráfica for best cartoon. His latest project is the series Distopias for the new editorial project A Viñeta de Schrödinger. Fernando Iglesias has also developed a career in advertisement and illustration and is currently teaching at O Garaxe Hermético, the school of comics in Pontevedra. Alberto Ledesma was brought undocumented to Oakland, California, at eight years old. He has graduated U.C. Berkeley three times over and has held faculty positions at Cal State University, Monterey Bay, and U.C. Berkeley. He is a past winner of U.C. Irvine’s Chicano/Latino Literary Prize. His essays and illustrations have appeared in a variety of venues including New American Media, Buzzfeed, and Pocho. 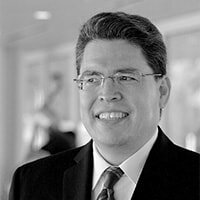 An Assistant Dean for Diversity at U.C. Berkeley, his current book is Diary of a Reluctant Dreamer: Undocumented Vignettes from a Pre-American Life. Ana Merino is a Full Professor of Hispanic Studies and 2016 Collegiate Scholar. 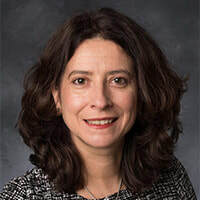 In 2009 Merino left her position at Dartmouth College to create the Spanish MFA program at the University of Iowa, she was the director since its foundation in March 2011 until December 2018. Between 2001-2011 she was a Member of the ICAF Executive Committee; and between 2004 and 2014 Directors Board Member at The Center for Cartoon Studies. Merino has published nine books of poems, a youth novel: El hombre de los dos corazones (2009), a children album, Martina y los piojos (2017) and four plays, including La redención (2016) staged last year. Merino has also written fiction, and extensive criticism on comics and graphic novels. She has two academic books El cómic hispánico (2003) and Diez ensayos para pensar el comic (2017), and a monograph on Chris Ware (2006). Merino has won the Diario de Avisos prize for her short articles on comics for the literary magazine Leer. She has curated four comic book expositions. She has been invited as visiting Professor to the University of San Gallen (Fall 2012) and to The University of Zurich (Spring 2019).